Scofield leches Gomez is back on Team Infamous, temporarily replacing Matthew Farith Puente, who is on personal leave. 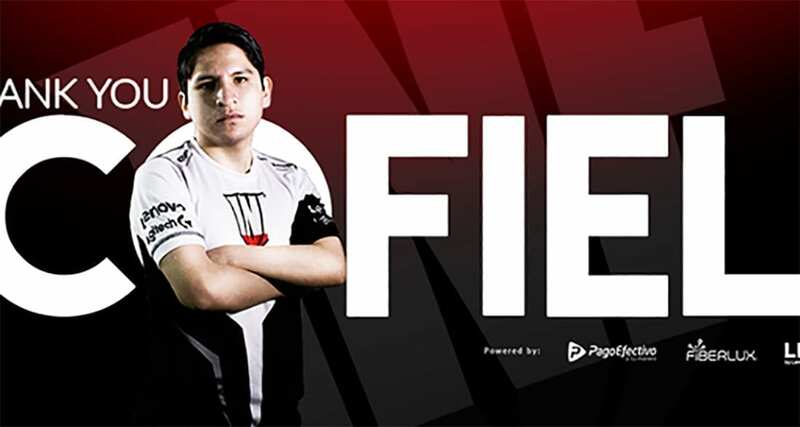 Scofield initially parted ways with Team Infamous on 21 March 2018 after Team Infamous claimed the third place of GESC: Indonesia Dota 2 Minor. Infamous decided to bring back their old squad member as a temporarily stand-in to help them securing the championship of DreamLeague Season 10. Up until the main event of DreamLeague Season 10, Scofield played a total of eight different heroes in 11 different games of 5 best of three match-ups. He is definitely one of the strong tier 1 support players in the world. Scofield’s Winter Wyvern in the match-up against Team Complexity in group stage suffered two losses, but we think that was because the other members in Infamous were trying to build up synergy with Scofield. In the match-up against Vega Squadron in group stage, he played Earth Spirit in game 1 and Earthshaker game 2. Earth Spirit and Earthshaker both require a lot of skill from the player because they have to constantly focus on the map movement and roam as much as possible to create space for core to farm. Scofield also makes sure his boulder smash of Earth Spirit always hit as much targets as possible, which is why we are naming him as one of strong tier 1 supporter. His Earthshaker gameplay might not be as good as GH GOD, another top tier support from Team Liquid. However, Scofield’s Earthshaker is still making a lot of good fissure blocking and able to turn the table around of the teamfight. Following the match of Infamous against Natus Vincere in the group stage, Scofield played Clockwerk Goblin and Tiny. In that match, Team Infamous just got out-drafted by Natus Vincere’s Axe. Scofield showed us his gameplay of Tiny in the lower bracket round 1 against Team ROOONS. Roaming Tiny requires a lot of skill from the player because Tiny does not have harassing ability in the laning phase, so the player had to make successful roaming gank in order to let the team have healthy farming environment. He did a good job in the game 1 by ganking in early stage of the game. His Phoenix in game 2, throwing Fire Spirit accurately to enemy team and securing every possible kill while protecting his teammate is one of the reasons that Scofield is seen as one of the top supporters in the world. Elder Titan, another unique hero he played in game 2 against Team Complexity in game 2 of lower bracket round 2, Team Infamous upset Team Complexity that game, not only thanks to the draft, but Scofield’s Elder Titan utilize the ability of Echo Stamp for saving his teammates constantly was also a important move for Team Infamous towards victory. As Team Infamous upset Team Complexity in lower bracket round 2, they will face against Natus Vincere in lower bracket round 3 — check out our analysis and free tips for that match-up here. Infamous is one of the top 4 teams in Dreamleague Season 10. We shall see what kind of influence Scofield can have in their pursuit of glory.